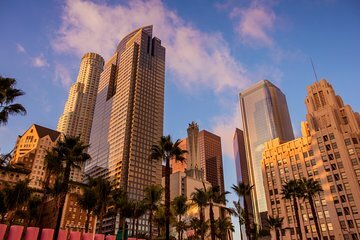 See the best of Los Angeles with a 6-hour tour of the city’s most glamorous neighborhoods and iconic landmarks. Learn where to eat, shop and party as you explore L.A. with a professional guide, from Hollywood Boulevard’s star-studded sidewalks to gleaming downtown skyscrapers. Snap a selfie with the Hollywood sign, spot celebrity homes in Beverly Hills, and watch an elegant crowd browse Rodeo Drive’s exclusive boutiques. Cruise the renowned Sunset Strip before hitting the Pacific Coast Highway to sink your toes into L.A.’s most beloved beaches. Wow, who would have thought that this was going to be SO enjoyable!!!!! The deal breaker would have been our tour guide, but we lucked out with Sochi (sp?). So knowledgeable, excited, and happy to tell us everything! We had plenty of stops and plenty of time at each stop to see and do everything. I would do this tour again in a heartbeat! Thank you for making something that could have been a tourist trap, totally worth the time and money! This made our entire trip! Very experienced driver. Complaint was we never went to Chinese theater as advertised and only saw the stars outside pick up pointing Hollywood drive. We only had one day in LA and decided this tour would be a good one to see lots of LA in the time we had. We only booked to tour about midnight the day before, and they were able to accommodate picking us up from our hotel near the airport without any fuss. We got picked up about 7.30 from our hotel and got back there about 6pm....so it's a long day. However, getting picked up and dropped off at the hotel was a bonus as it meant we didn't have to make our own way to a particular location to start the tour (which would probably have cost quite a bit). The tour pretty much did what we wanted - we saw lots of LA! The stop offs are a bit short but unless you have an hour or so at each place there isn't much you can do other than look around and take a few pics. Nick (our driver) was very knowledgeable and a great host. The tour would be great as an introduction to LA to see where you might like to go back and visit and spend a big longer exploring. The tour was quite expensive, but given that we got picked up and dropped off at the hotel, it was probably a reasonable price. Nicholas the driver was a fountain of knowledge. Whole day covered 75 miles. Would thoroughly recommend. This tour was really delightful. George is a fun and knowledgeable tour guide. It was really well organized, with plenty of time at multiple stops. He also gave us a great recommendation for a fabulous restaurant at the Santa Monica pier called The Lobster. The 60s music he played was just a bonus! It was a great day that we thoroughly enjoyed. Thanks Viator and George! This City Tour was excellent! I highly recommend this tour and George was a great tour guide! In this tour you will see many of the great things in the city! Only in LA for 3 days. We did the 6 hour tour and fitted so much in plus a pit stop for lunch. Lovely modern clean bus and guide excellent. Highly recommend. Our driver and guide Nick was superb ...very thorough and managed our time to the max...great way to see the LA area...great day! 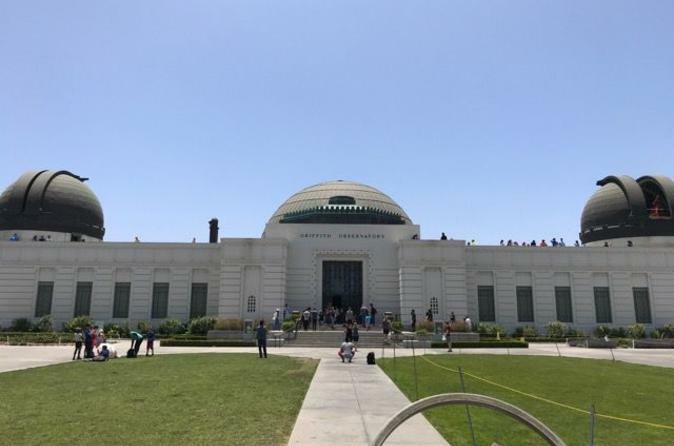 If you are time poor, this is the best tour of LA to see all the main attractions in one day. The Guides are excellent and make use of ever second of the tour. Their knowledge is excellent.